In 1977, the Board of Governors of the NHL decided to create an award that would recognize the forward who best excels in the defensive aspects of the game. It was decided that the award would honour Frank J. Selke, a former executive with both the Toronto Maple Leafs and the Montreal Canadiens, Frank Selke was a committed builder to NHL hockey for sixty years, and was inducted into the Hockey Hall of Fame as a builder in 1960. Working closely with Conn Smythe, the two were instrumental in the building of Maple Leaf Gardens in 1931, and Selke watched the Leafs win three Stanley Cups while in their employ. But a falling out with Smythe during the Second World War resulted in Selke joining the Canadiens in 1946, and he was general manager for six more championships in Montreal. 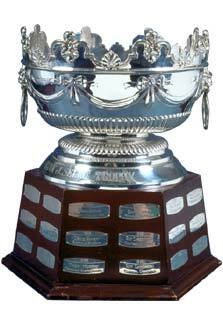 The Selke Trophy was first awarded in 1977-78, with Bob Gainey of the Canadiens winning the award. 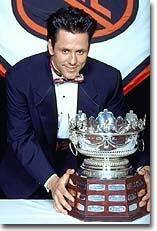 Leading winners: Bob Gainey (4), Patrice Bergeron, Guy Carbonneau, Pavel Datsyuk and Jere Lehtinen (3). The annual winner is selected by the Professional Hockey Writers' Association at the end of the regular schedule.